"Why wouldn't you want to study abroad?" "I walked in cities almost 2,000 years old"
"I was even starting to think in Japanese"
From China to South Africa, choose from numerous opportunities abroad. Help pay your way with scholarships, grants, and research opportunities. 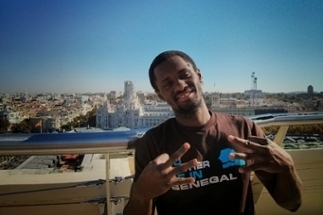 See what past students have to say about their experiences studying and living abroad. 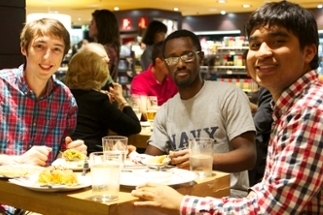 Think engineers can’t study abroad? Think again. With the flexible Rochester curriculum and specially selected overseas partnerships, Hajim students have a world of opportunities available. We’ve identified programs that offer courses in engineering, mathematics, sciences, and more. These equivalent courses apply toward your Rochester degree. You'll see the world, gain a global perspective, and build your resume—all before graduating. Hajim study abroad programs have classes in each country so you satisfy degree requirements without missing a beat. Whether you're looking to take classes in optics, engineering, or computer science Hajim has equivalent study abroad classes for every major. 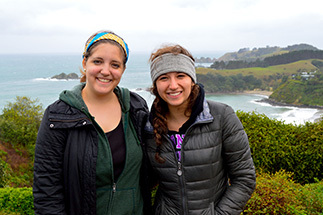 The Hajim International Experience Scholarship funded by The Hajim Dean’s Office offers grants for undergraduate students to pursue academic studies or credit-bearing, career-oriented and research internships abroad. Need help or more information? Contact us.